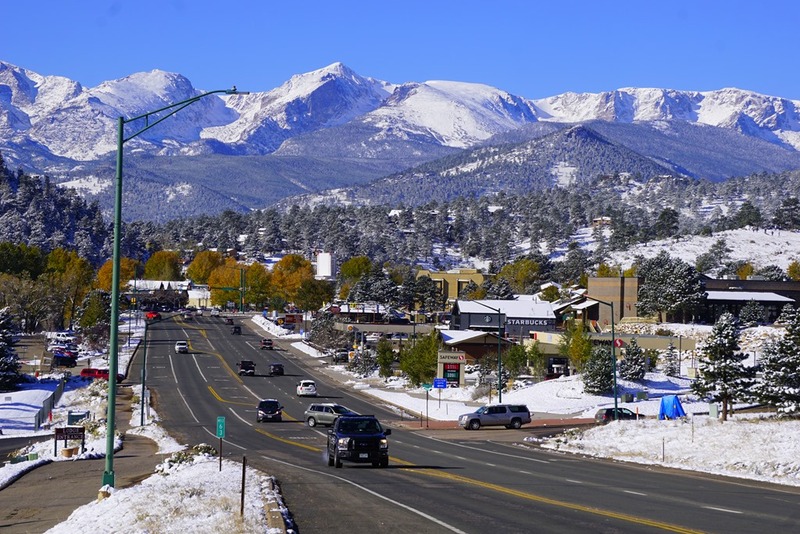 On October 15, 2018, I finally got to leave Estes Park to start my travels for the winter. It had reached temperatures as low as 3 degrees F, and it was time to head to a lower elevation. I took a picture of Estes Park as I was driving out of town. Each year I’ve been sharing my travels on this blog, but this year I’m doing something different; I’m recording video clips along with taking pictures and turning them into Video Episodes which I will share on my YouTube Channel. A video is more fun; when you watch a video you can hear the sounds of nature, the birds, the water, the wind in the trees, my heavy breathing as I climb a steep hill. You can hear the crunch of my boots on the trail and experience what it’s like to look over the edge of a cliff. Video brings the experience to life! Don’t worry, I’m still going to share my travels here on the blog (for those of you who don’t have enough data for watching videos), but probably not as a day-to-day travel blog. Instead, you may get one blog post that covers the whole month instead of 8 individual ones. I do intend to finish off my travels from last winter though, which I’m still working on and getting out a bit at a time. Additionally, all the other types of posts I do will still keep coming, because I do so love to write! 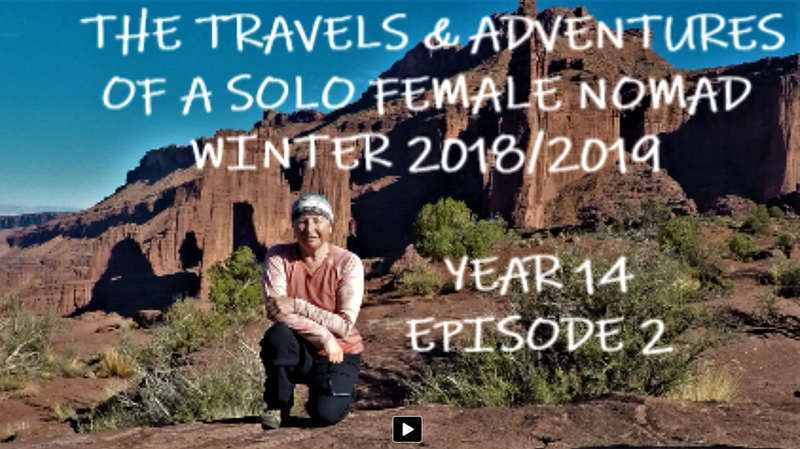 This series of videos starts with an introductory video (click the first image above if you want to hear me chattering) or you can get right into the journey with me by clicking the ‘Join Me On the First Leg of My Journey’ image above. Episode 2 is scheduled to publish on…I think…November 1, but if you don’t want to miss any of my journeys just be sure to hit the SUBSCRIBE button on my YouTube Channel, and then RING MY BELL. I believe that ringing the bell ensures you get notifications of any new videos I post. 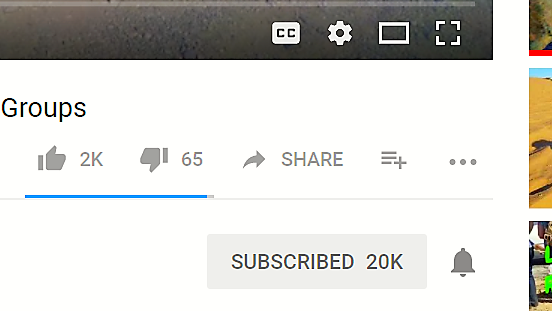 The bell is found next to the subscribe button. And that my friends, is what I wanted to share with you today. I’ve been taking images for a long time, and I enjoy it, but videography has brought some new challenges into my life, and though I’m far from good at it, I’m enjoying it anyway. ← Sedona/Cottonwood Camping Disaster, The Sound of Guns and Driving to Page AZ – Pictures Galore! Kerri, I remember you well, you were so open and friendly and I instantly liked you, I’m glad you wanted to share a hug. In the past few weeks, I’ve been working on putting my heart forward, and your reaction and the reaction of others I’ve spoken to recently shows that doing this makes a difference. I am amazed at how many people have been drawn to talk to me, people from all walks of life, and how many hugs I’ve had from strangers. I’ve usually been closed off, but suddenly people talk to me and I jump right in and respond back, it is quite wonderful. I’m glad you got in touch, I hope your paddling experience was a memorable one.